An atlatl, the ancient spear-throwing hunting tool, has been around for over 30,000 years. It uses leverage to propel a spear across vast distances. As a primitive tool, the atlatl was one of a kind and it inspired the construction of similar weaponry. Its throwing board is a two-foot stick made up of a grip for the hands, and a “spur” that fits into the spear. It can be created using sharpened sticks that you find in the wild. 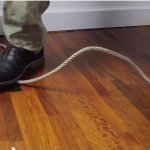 It can be used to hunt small and large animals alike. 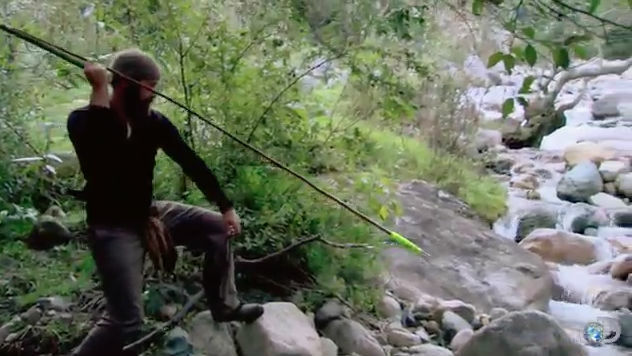 In this instance, you’ll get to see the proper technique for using an atlatl to hunt large fish! Check out the video on the next page to see how it’s done! The Sling was a weapon of war and hunting. David killed Goliath NOT with a slingshot, but a sling. Use your leather belt as a sling.Kill something.